With many decades of stonemasonry experience, we specialise in the design, manufacture and installation of respectful, elegant and beautiful headstones and cemetery memorials. We appreciate that choosing a memorial is very difficult at such an emotional time; we make every effort to make the process of ordering the stone as straightforward and stress-free as possible. Have an old cemetery memorial that has decayed with age or due to weather? We also provide grave restoration in order to bring back what has been lost over time. From the lettering to the general look of the memorial, we make sure that it looks almost brand new and can continue to be used to pay your respects. We have one of the widest ranges of memorials, childrens headstones, vases and figures available and all are visible in our colourful and informative brochure. We also have a well-stocked showroom where we will be more than happy to show you previous designs and ideas. To speak with a specialist stonemason about your own gravestone or cemetery memorial requirements; give us a call or send through an enquiry and we will get back to you as soon as possible. While we have a wide variety of memorial options for you to choose from, we are also able to provide bespoke designs if you have seen a memorial in a cemetery that you think would be appropriate. As we like to make things as easy for you as possible at such a difficult time, we will deal with all the relevant cemetery authorities and advise you on any issues raised. Whatever your cemetery memorial requirements, we will provide an attractive, stylish, elegant and cost effective solution. Made to meet you requirements, our cemetery memorials are stunning and are perfect when capturing the memory of a lost loved one. Our stonemasons have many years experience and ensure a cost effective solution for every gravestone they create. All of the cemetery memorials we design and supply are designed around you and your requirements. You choose the type of memorial you want, go through your design requirements and we get to work. Our stonemasons will craft the perfect cemetery memorial that best suits you. We offer an extensive range of stunning cemetery memorials that are tailored around your specific requirements. If you have something specific in mind, speak with one of our stonemasons and they will be more than happy to provide advice on what cemetery memorial best suits your requirements. Our years of expereince in the industry ensures you find the right memorial for your lost loved ones without dealing with the stresses of managing it all. 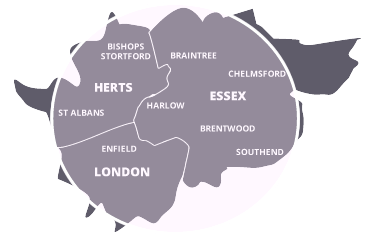 The main areas we normally extend our expert stonemasonry and memorial services to include Cheshunt, Hertford, Bishop's Stortford, Broxbourne, Epping, Harlow, Enfield, Hatfield, Hoddesdon, Roydon, St Pancras, Ware, Parndon Wood, Potters Bar, Braintree, Welwyn Garden City, Barnet, St Albans, Loughton, Chigwell and Edgware.